Microsoft, a global technology leader, is bringing portability and power to UAE mobile professionals, with its new versatile laptop, powerful tablet, and portable studio in one - Surface Book 2. “With the Surface Book 2, it doesn’t matter whether you’re a software developer, a digital artist, a designer or an engineer – in your hands is all the power and performance you will ever need,” he said. The Surface Book 2 is both beauty and beast. Tasteful aesthetic combines with enduring power, with the latest 8th Gen Intel Core processors and NVIDIA GeForce GTX 1050 and 1060 discrete graphics options. 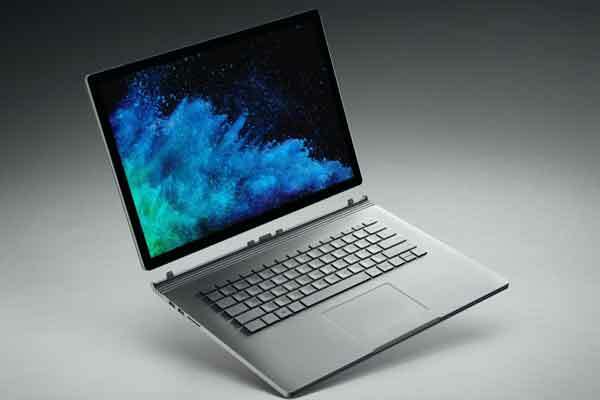 It is up to five times more powerful than the original Surface Book, and the all-day battery life has up to 17 hours of video playback, said a statement. The Surface Book 2’s performance edge and battery life make it ideal for product designers, gamers, architects, developers and anyone else looking for the power of a desktop and the mobility of a laptop. The 13-inch model weighs 3.38lbs and the 15-inch, 4.2lbs, making it the most computationally powerful device of this form factor in its weight class. PowerPoint presentations come alive on the device’s vibrant PixelSense Display, which features multi-touch, and Surface Pen compatibility. The 15-inch model’s screen displays almost 7 million pixels – allowing a larger creative canvas for digital artists. The detachable display and hinge of the Surface Book 2 have been redesigned to provide an even smoother transition into Tablet and Studio modes. Upon detachment, the device morphs into the world’s thinnest and lightest 8th Gen Intel Core i7 PC. It comes with a full array of ports, including USB-A, USB-C, and full-size SD card reader, making it easy to connect other devices and accessories. The product is designed to take advantage of the features of the Windows 10 Fall Creators Update. The photos app gives new ways to personalise and share visual stories. And users can create and interact with 3D objects in PowerPoint, Word, Excel, or the Mixed Reality Viewer app.